Assemblywoman Addie A.E. Jenne has earned the endorsement of the Watertown Daily Times in her bid for re-election to the New York State Assembly. The Times, in an editorial that appeared in Friday's print and on-line editions, praised the Assemblywoman for fighting for the North Country and getting positive results. "She is a long-standing member of the Majority in Albany who has been instrumental in securing state funding for many critical projects in the north country," the editorial board wrote. "Ms. Jenne understands how Fort Drum will be affected if new wind turbine projects are undertaken around it. She knows what an economic driver the post is for the north country economy and how essential the work of the 10th Mountain Division is to our national security," they added in their endorsement. Assemblywoman Jenne has secured approximately $8 million in state funding to assist schools and communities in the North Country over the past two years, including fighting to have $1million included in the 2016 state budget for a poverty fighting initiative for the city of Watertown and $900,000 for the North Country Farm to School program that has brought locally grown foods into local schools. The newspaper also praised Assemblywoman Jenne for her deep knowledge of policy issues of importance to the North Country. "Ms. Jenne also recognizes that the economic development strategy carried out by the Cuomo administration has not produced results. And she grasps that substantial state and federal funding will be required to repair the Ogdensburg-Prescott International Bridge," the editorial said. The newspaper's editor has become a strong voice for the specific needs of North Country residents. "She will provide a necessary voice on behalf of the River District in the Assembly. ... Ms. Jenne is knowledgeable of local issues and has a firm command of the process for implementing public policies. She will work with the majority party to ensure the north country remains a priority in Albany. Voters have supported her desire to serve as a state legislator since 2008, and they should continue doing so now," the newspaper added. The editors were also critical of her opponent's work as a member of the Watertown City Council. "He has not distinguished himself as a community leader, fiscal watchdog (a curious label he ascribes to himself) or municipal legislator," they wrote. The International Brotherhood of Electrical Workers Local 2032 has endorsed Assemblywoman Addie A.E. 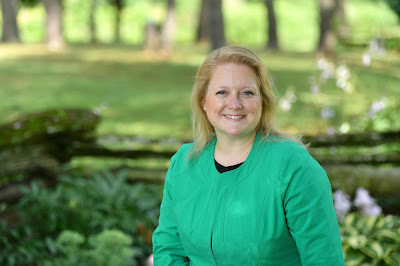 Jenne in her re-election bid for the River District seat in the New York State Assembly. IBEW Local 2032 Business Manager William Brown, Jr. said Assemblywoman Jenne has shown a remarkable work ethic during her career in the state Assembly. "We believe Addie will continue to bring the interests of the North Country to the halls of Albany, a task she's been very successful at doing the last several years," Mr. Brown said. "Experience and seniority are very valuable attributes to have on her side. We are confident that she will continue her efforts to stand up for the hardworking men and women of the River District," he added. Assemblywoman Jenne said she was grateful to have the support of IBEW Local 2032. "These are the men and women that operate and maintain the New York Power Authority (NYPA) generating facilities that help power our homes and businesses in the North Country, across the state and throughout the Northeastern United States," she said. "They also maintain more than 1,600 miles of transmission lines allowing NYPA to sell low-cost electricity to the state's municipal customers, including the towns of Massena, Philadelphia and Theresa, National Grid and New York State Electric & Gas," Assemblywoman Jenne pointed out. "These are also the men and women who risk their own personal safety to help get our lights back on and power flowing to our businesses and industries when Mother Nature hits us hardest," Assemblywoman Jenne noted. She said the hazardous nature of the work done by IBEW members around the state hit home this week. resident, was involved in a fatal helicopter accident while working in Clinton County." Local 2032 represents the 350 unionized employees at the upstate NYPA facilities, including the St. Lawrence-FDR Power Project in Massena, the Frederick Clark Energy Center in Marcy and the Blenheim-Gilboa Pumped Storage Power Project in Schoharie County. More than half of the union employees live in the River District. The assemblywoman has also been endorsed by New York State AFL-CIO, United Steelworkers Local 420-A, New York State Nurses Association, Laborer's Local 1822, International Brotherhood of Electrical Workers Local 910, The American Federation of State, County and Municipal Employees (AFSCME), 1199SEIU Healthcare Workers East, New York State United Teachers (NYSUT), Public Employees Federation (PEF), Civil Service Employees Association (CSEA) and the Police Benevolent Association of New York State (PBA of NYS). "I'm always proud to have the support of organized labor. Our unions built the middle class in this country, and today they’re more important than ever as our economy only seems to help the rich get richer while the middle class works longer hours and still falls further behind. I will continue to fight for fair wages and benefits for all workers," Assemblywoman Jenne said. She has also been endorsed by the Watertown Daily Times. Assemblywoman Addie A.E. Jenne is fighting back against political attacks being lobbed by her opponent and his supporters that have absolutely no merit. The final straw came when the former executive director of Neighbors of Watertown suggested during a phone call to the Live at 5 Show on WATN that she acted improperly when he worked with her four years ago on a building renovation project proposal in Antwerp, a project that she did not submit to the state for funding. “I cannot even begin to explain how offended I am that one man’s ‘feeling’ has undercut all the work I have done to help our communities over the past 10 years. I have tried to hold my head high and know that the people of the River District know me and how hard I fight for them, but I cannot sit by any longer without responding to ridiculous accusations by Gary Beasley and my opponent,” Assemblywoman Jenne said. She said that Mr. Beasley backed up his “feeling” by suggesting she had lobbied hard to have Neighbors of Watertown move the Antwerp project forward. Assemblywoman Jenne said her apparent wrongdoing was fighting for a project to help improve downtown Antwerp. “That not a bad thing. Yes, I lobbied hard for a project. I always lobby hard – for funding for our schools, for new initiatives that bring local goods to our families’ tables, for revitalizing neighborhoods, for anything that can help make our community even stronger. I will not ever apologize for that and the results are nearly $8 million in state funds that I have helped bring into the River District in the past two years,” she said. “We live in a small community. I know the rumors and innuendo that are going around. I know what people are claiming. I don’t know how to stop the gossip and the false accusations,” the assemblywoman said. “I can only tell you how disturbing it is to have a partisan hack attack you and lie about your personal life, all as sport in a partisan political battle. I love this community and have fought tirelessly for the people of the River District since first taking office,” she said. Assemblywoman Jenne said the repeated false accusations don’t change the facts surrounding the Antwerp project. “I have supplied proof that I did not know the owners of the Antwerp property before 2014. I met them a few weeks before I sought Mr. Beasley’s advice. The Watertown Daily Times has seen the texts giving me contact information for one of the owners and the newspaper previously reported the timetable for the events I have described is ‘credible,’" she noted. My political opponents apparently want voters to believe that one man’s partisan attack against me based on a 'feeling’ trumps proof. The residents of the River District know better than that,” she said. The nearly $1.5 million in supplemental state aid Assemblywoman Addie A.E. Jenne secured for the Ogdensburg City School District in recent years has been critical in allowing the district to move forward without having to cut staff and programs, the school's superintendent said. "There is no question the additional funding Assemblywoman Jenne secured for our district has saved people's jobs and programs," Superintendent Tim Vernsey said during a meeting with Assemblywoman Jenne and Kevin Kendall, assistant superintendent for curriculum, instruction, assessment and technology. Assemblywoman Jenne met with school officials to discuss the latest round of supplemental state aid – $200,000 – she secured for the district for the 2018-19 school year and to learn about how the district used the $300,000 she secured for the district last year. She said she always gives special consideration to property owners in the Ogdensburg City School District when she fights for supplemental state aid for North Country school districts. The district's enrollment is approximately 1,800 students and has the highest school tax rate in St. Lawrence County. "Approximately 70 percent of the property in the Ogdensburg City School District is tax exempt so its taxpayers have a heavy burden. I recognize that every $110,000 I secure in state aid is equivalent to a 1 percent jump in the district's tax rate. That makes Ogdensburg a priority for me," Assemblywoman Jenne said. She also secured $300,000 in supplemental state aid for the district for the 2016-17 school year, $350,000 in 2015-16, $150,000 in 2014-15, $100,000 in 2013-14 and $50,000 in 2012-13. Mr. Kendall said some of last year's funding was used in part to continue a program aimed at improving the reading and writing skills of its youngest students. "It has allowed us to do ongoing professional development – as opposed to a one-shot deal – centered on research we know gets kids to read and write more. We've put in a lot of work. We even sent 40 teachers to a high-quality professional development training program at the Teacher's College of Columbia University in New York City," he said. "We've got libraries in every elementary classroom now, and our kids are reading and writing more," he added. "We've seen significant growth in our elementary school test scores for our third graders, fewer students scoring at the lowest levels and more students scoring at the highest levels" said Mr. Kendall, who will become the district's superintendent when Mr. Vernsey retires at the end of the first semester. Mr. Kendall said the supplemental school aid secured by Assemblywoman Jenne has allowed the district to keep classroom sizes down, maintain its AP classes and expand the music and art programs. Assemblywoman Jenne also discussed the district's work with students living in poverty, initiatives to give North Country students a better understanding of employment opportunities in areas such as the maritime sector and healthcare and her ongoing fight to bring more equity to the school's state aid policy, a move that would benefit North Country districts. She said she will also work to find partners in the state Senate to advance legislation she introduced to provide additional state aid – up to $2.5 million – to school districts like Ogdensburg that have high numbers of tax-exempt properties owned by religious organizations, educational facilities and state and federal institutions. Assemblywoman Addie A.E. Jenne discusses school finances with Ogdensburg City School District Superintendent Tim Vernsey, center, and Assistant Superintendent for Curriculum, Instruction, Assessment and Technology Kevin Kendall, left. Assemblywoman Addie A.E. Jenne announced the registration deadline is Wednesday for vendors to be part of the seventh annual North Country Department Store event she hosts each year in Jefferson County. The North Country Department Store will run from 10 a.m. to 3 p.m. on Saturday, Nov. 17, at the Indian River Middle School off Route 11 in Philadelphia. Representatives from the Indian River Central School FFA and Noah's Ark Preschool will be on hand to assist vendors with setting up as well as packing and moving at the end of the day. Donations from the event support the two organizations. "There are a wide variety of small businesses in the North Country featuring artisans, craftsmen, specialty foods and services that could all benefit from being a vendor at the show," Assemblywoman Jenne said. A directory of the businesses is given to each attendee so they can refer to it in the future when they need to find that special gift for a loved one. 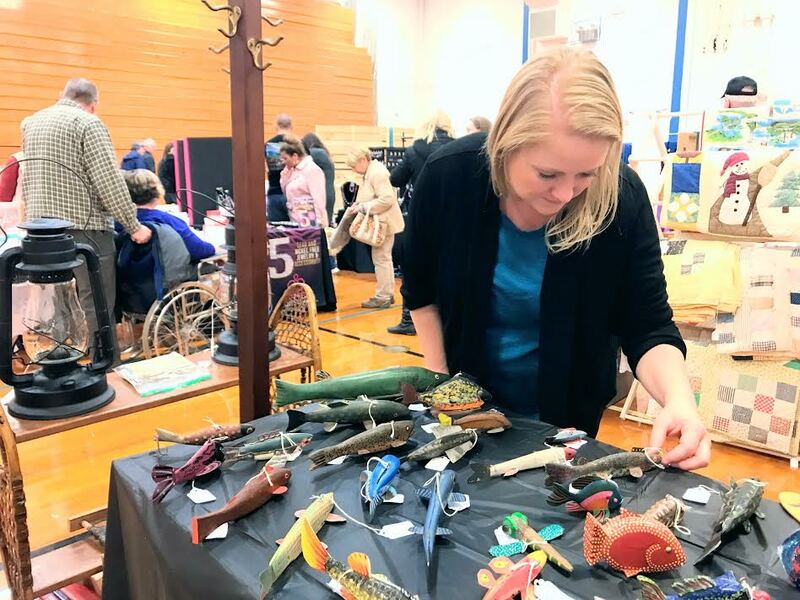 The show is well attended and continues Assemblywoman Jenne’s effort to showcase the variety of superb craftsmanship found in the North Country. Businesses interested in being vendors can email Judy Aldrich at judy@addiejenne.com for details, or call Assemblywoman Jenne's Watertown Office at 315-786-0284 and request an application. "This is an effort to showcase the many small businesses that provide our North Country with a host of unique products," Assemblywoman Jenne said. "I know there are lots of folks that enjoy hitting the craft show circuit this time of year, and there will be plenty of opportunities at the store to find unique items that will be treasured for years to come." Would-be vendors that miss the application deadline will be accepted first-come, first-serve, based on space availability. Assemblywoman Addie A.E. Jenne, said a walk through the Traditional Arts of Upstate New York (TAUNY) building was a walk back through time in the North Country. The assemblywoman was on hand for Sunday's TAUNY Folklife Fair, a celebration of 25 years of North Country Heritage Awards. The event featured demonstrations, music and regional foods. 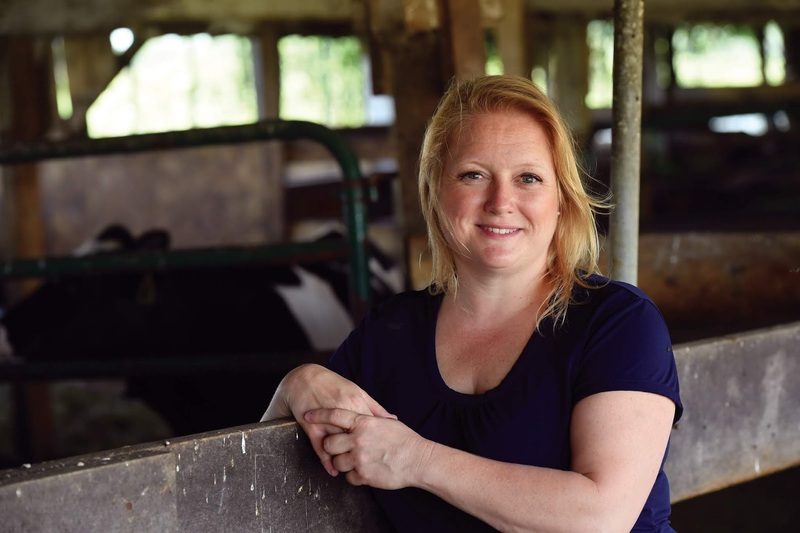 "I start a lot of my speeches with I'm the seventh generation of my family to call the North Country home so having a place like this, that celebrates the heritage of my ancestors and your ancestors, is pretty special," Assemblywoman Jenne said. "Focusing on that connection we have to the past and on the skills, towns and people that have made this place what it is for hundreds and thousands of years is truly special," she added. TAUNY has presented awards to recipients for their mastery of local traditions and commitment to the conservation of community spaces since 1993. "The fact that you are here today to celebrate it just reinforces the feelings I have," Assemblywoman Jenne told the large crowd on hand for the event. "TAUNY works every year to broaden us, to highlight the different facets of our community and our heritage. They build relationships that enable our community to truly understand our past and, by doing that, we can better chart our future," she said. "It's really special. Many places in the state or the country don’t have organizations like this," she pointed out. "I thank you all for supporting it and continuing to talk about the greatness that is here in the North Country." TAUNY has held an event each fall for the past 25 years, now known as the Salute to North Country Heritage, to recognize masters of their crafts, as well as places and organizations that make the region special. TAUNY has handed out 129 Heritage Awards since 1993. Varick Chittenden, the founding director of TAUNY, said the North Country Heritage Awards are meant to honor the women and men who've devoted themselves to keeping important traditions alive and inspiring others to pursue them in the future. The categories for the Heritage Awards include inherited traditions, adopted traditions and very special places. The final category – evergreen – recognizes individuals, groups, businesses and programs for their continued interest in and support of traditional cultures, arts and artists; their active facilitation of skill-learning and sharing across generations; and their efforts to increase public understanding and appreciation of living traditions in the region. Assemblywoman Jenne praised Executive Director Jill Breit for her leadership of TAUNY. She has been a driving force here at TAUNY over the years, she noted. The assemblywoman said she had an opportunity to see several of the folk arts demonstrations and exhibits that were on display in galleries on both floors of the TAUNY building. She said the TAUNY demonstrations featured basket makers, rug braiders, guitar makers, carvers, model boat makers, horticulturists, blacksmiths, foragers and folkloric portrait painters. Fiddlers also kept the crowd entertained throughout the afternoon. "It was a great afternoon, and it's amazing to see the talent in our region. I had the opportunity to talk with folks like Dave Nichols about the guitars and inlays he’s been working on for decades, horticulturist Bill MacKentley about his work, Dulli Tengeler about life at Birdsfoot Farm and Jack Taylor about his woodcarving. It was also fascinating to see the baskets, rugs and model boats made by local artists," Assemblywoman Jenne said. "It was literally a walk through my own family's history as I had a chance to see so many of the traditional arts that have been part of our North Country's history. TAUNY truly is a North Country treasure," Assemblywoman Jenne said. She recently announced she had secured $10,000 in state funding to assist TAUNY make improvements to its demonstration kitchen. Bill MacKentley, a horticulturist and 2017 Heritage Award winner, discusses his work with Assemblywoman Addie A.E. Jenne. Mr. MacKentley developed his skills after starting as an apprentice with legendary north country farmer Fred Ashworth over 50 years ago. During that apprenticeship, Mr. Ashworth shared is vast knowledge about trees, especially edible fruit and nut trees that survive and thrive in sub-zero climates. After years of working with Mr. Ashworth, Bill and his wife Diana started St. Lawrence Nurseries where they continued until their recent retirement to find and graft scores of new and heirloom varieties. Assemblywoman Addie A.E. Jenne addresses the crowd Sunday at TAUNY's Folklife Festival in Canton. Assemblywoman Addie A.E. Jenne visits with Dave Nichols, a luthier and cusom inlay maker from Whippleville in Franklin County. He was a Heritage Award winner in 2000. Assemblywoman Addie A.E. Jenne listens as Dulli Tengeler explains the mission of Birdsfoot Farm, a communal farm in Canton. Birdsfoot Farm has been growing certified organic vegetables, flowers, and herbs for over 40 years. Birdsfoot is on TAUNY's Register of Very Special Places in the North Country. Assemblywoman Addie A.E. Jenne talks to Morristown woodcarver Jack Taylor about his work. Mr. Taylor retired after a long and distinguished career as an administrator at St. Lawrence University. Assemblywoman Addie A.E. Jenne chats with one of the artists demonstrating their talents at TAUNY's Folklife Fair. TAUNY Founding Director Varick Chittenden. Assemblywoman Addie A.E. Jenne credited Mr. Chittenden for his vision in creating an organization that has focuses on the region's rich history. Assemblywoman Addie A.E. Jenne watches Loretta Lepkowski, a folkloric portrait painter, work Sunday at TAUNY's Folklife Fair. Assemblywoman Addie A.E. Jenne, D-Theresa, said health care will be one of the major issues facing state lawmakers when they return to Albany in January. She told members of the New York State Nurses Association (NYSNA) that safe staffing at medical facilities and discussions about universal health care are among the top issues she has fought for in recent years. She said a potential change in the leadership of the New York State Senate could allow those two issues, which have received strong support in the state Assembly, to move forward in the next legislative session. "The time is now. We don't want to miss this opportunity. We want to make sure we are able to provide affordable quality health care to all the state's residents," Assemblywoman Jenne said. She has been a long-time supporter of universal health care and argued that systemic reforms are needed to find savings. "There are a lot of changes going on in health care right now, and I'm concerned about our ability to ensure access to quality health care here in the North Country," Assemblywoman Jenne said. "I think we are at a very critical point, not just this state but in our country, in terms of how we will approach health care for the foreseeable future. I've always felt we should have a single-payer system to ensure everyone can access quality care," she noted. She said efforts to repeal health care at the national level are misguided, but noted it’s obvious changes are needed to make health care more affordable so more patients can access preventive care.
" The current system is just draining middle-class and working-class families. The insurance policies are so expensive, especially the high co-pays and deductibles. Just getting basic health care coverage can take up a large portion of a family's income, and it's also a burden on our small businesses," she added. The assemblywoman said she repeatedly hears from constituents who avoid going to the doctor or the hospital due to concerns about cost. "I really think it's time to tackle this problem once and for all. We need to reclaim the profits our insurance companies are taking out of the health care system and invest those dollars back in New York State. This will benefit our hospitals and our health care providers. It's the best way to drive down costs for our families and ensure we have quality health care in places like the North Country," Assemblywoman Jenne said. She said the safe staffing issue is also critically important, noting she has stood shoulder to shoulder with nurses in the state Capitol to help advance this vital legislation. "I hear the heartache of nurses who feel they just don't have the time to properly talk to their patients before they are discharged from their facilities," she noted. She said the issues are only escalating as Baby Boomers age and develop more complex health care needs. One of the nurses attending the meeting told Assemblywoman Jenne that safe staffing levels is a major concern for all nurses, both for veteran nurses and nurses just beginning their careers. She said changes in health care means patients in hospitals are now sicker than they once were. "Everybody is so sick now. They don't put you in the hospital if you are just a little sick anymore, so all of your patients have serious needs now. If we, as veteran nurses, feel overwhelmed, imagine how our newer nurses feel," she told Assemblywoman Jenne. The assemblywoman said she has long stood with NYSNA to fight for safe staffing levels. She said moving to universal health care – eliminating the high profits that currently flow to insurance companies – could provide additional dollars that will help health care institutions hire more nurses. Corey Ellis, the upstate political director for NYSNA, told nurses from Massena Memorial Hospital, Canton-Potsdam Hospital and Claxton-Hepburn Medical Center that Assemblywoman Jenne has gained the endorsement of NYSNA in her bid for re-election to the state Assembly. "The assemblywoman has continuously been there for you, and now you need to be there for her," he told the nurses. Assemblywoman Addie A.E. Jenne discusses health care issues with Paisley Kodama, a nurse at Canton-Potsdam Hospital. Assemblywoman Jenne recently had an opportunity to meet with local members of the New York State Nurses Association (NYSNA) at Sergi's in Potsdam. Assemblywoman Addie A.E. Jenne visits with New York State Nurses Association officials in Potsdam. Assemblywoman Addie A.E. Jenne and Corey Ellis, upstate political director for NYSNA, discuss some of the health care issues that are likely to be debated during the 2019 legislative session in Albany. Assemblywoman Addie A.E. Jenne (bottom right) visits with Jessica Palmer, a nurse at Claxton-Hepburn Medical Center; Ogdensburg; Joann Brand, Massena Memorial Hospital, a union delegate for the MMH unit; Casey Paquin, Massena Memorial Hospital, secretary for the MMH NYSNA unit; and Rachel Ward, Massena Memorial Hospital; during a recent NYSNA meeting in Potsdam. Assemblywoman Addie A.E. Jenne poses for a photograph with NYSNA members from Canton-Potsdam Hospital during a recent NYSNA meeting at Sergi's in Potsdam.